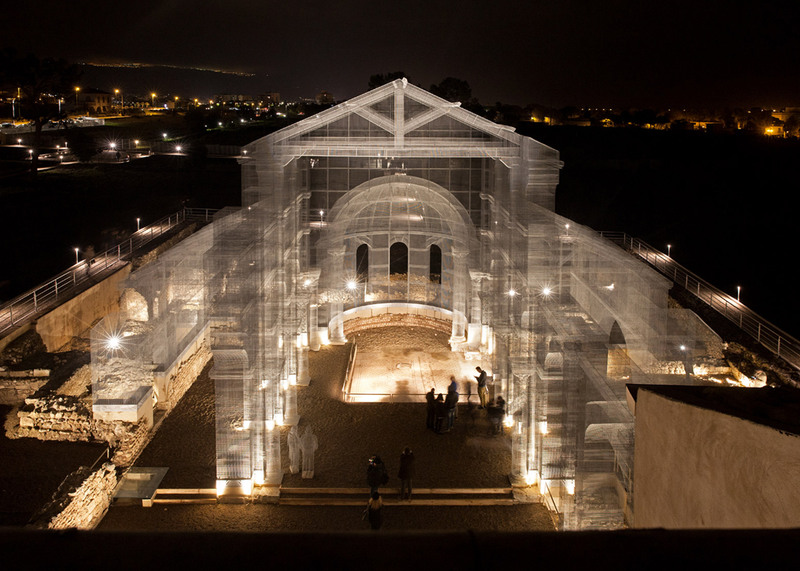 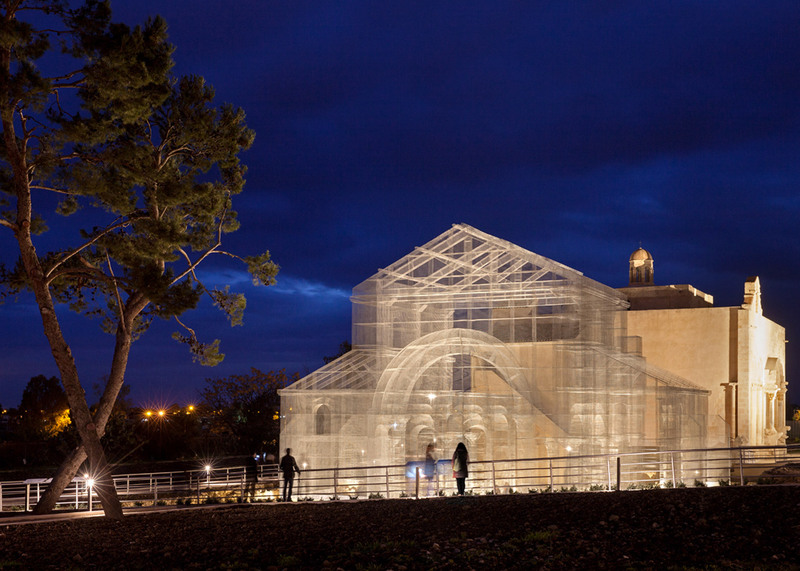 Italian artist Edoardo Tresoldi has used wire to recreate an early Christian church on an archaeological site in Siponto, a port town in southern Italy (+ slideshow). 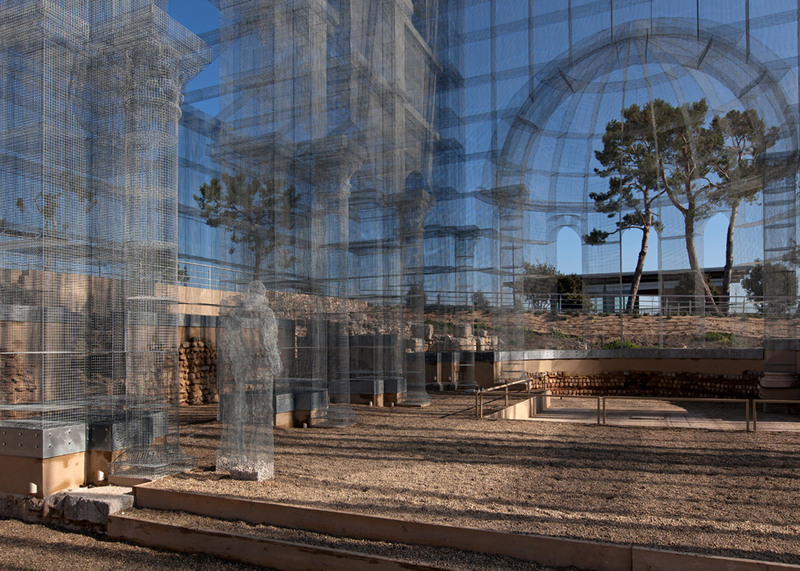 The huge installation is located on the site of a church built in the Roman settlement between the 11th and 12th centuries, but deserted following earthquakes in the 13th century. 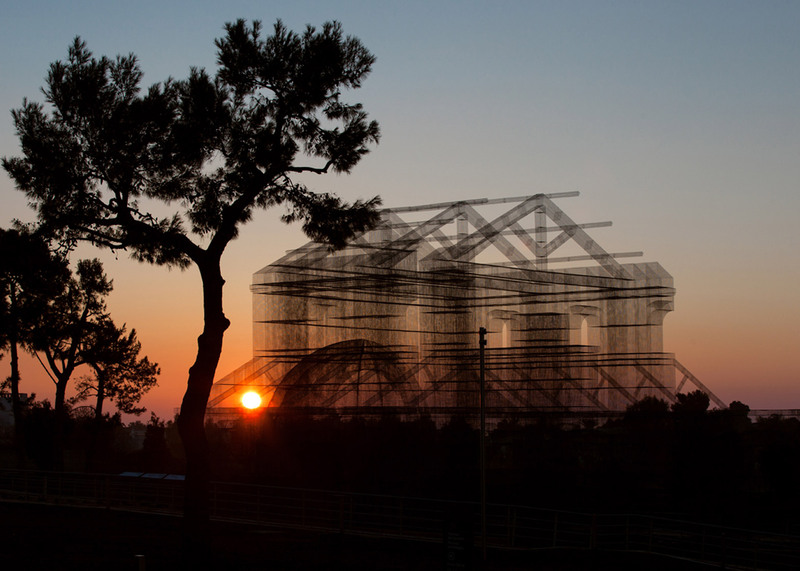 Tresoldi, who specialises in large-scale wire sculptures, has previously created both architectural and figurative pieces for venues including the British art and music festival Secret Garden Party. 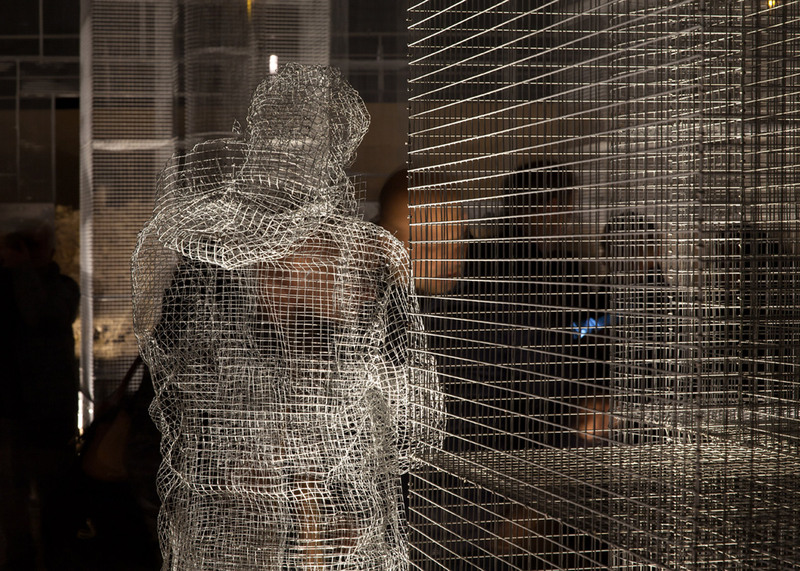 But this sculpture will remain in place indefinitely. 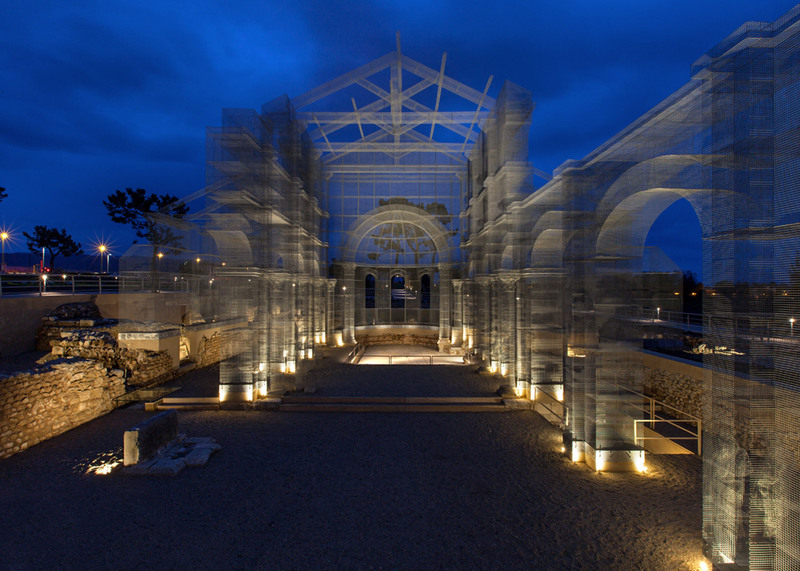 "The brief was the reconstruction of the basilica, but there are no sure elements about the structure and the size of it so Edoardo had some freedom into the creative process," explained a member of the sculptor's team. 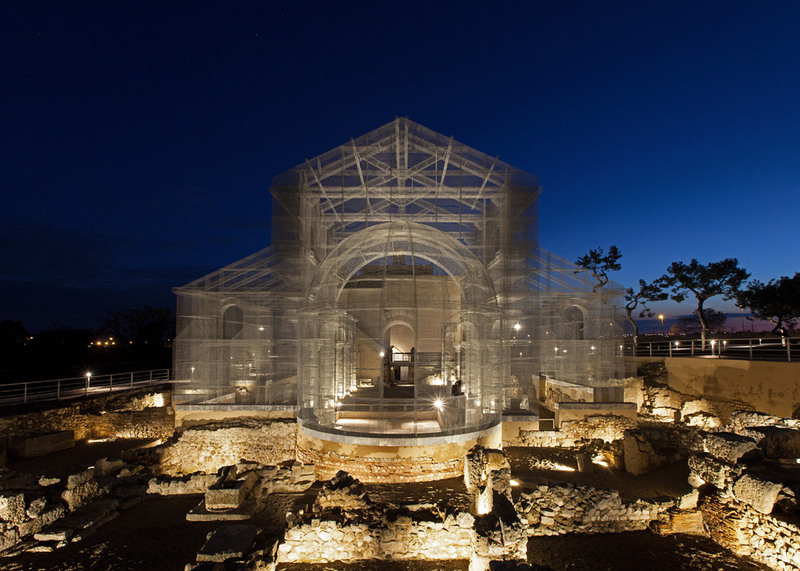 Several mesh figures inhabit the full-scale structure, which features Romanesque domes, arched windows and columns, and is illuminated at night by spotlights. 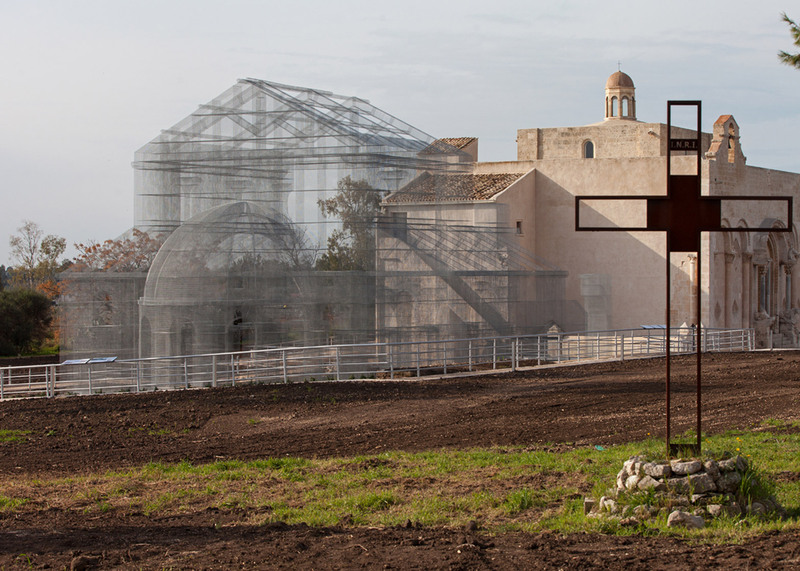 "The work of Edoardo Tresoldi appears as a majestic architecture sculpture able to tell the volumes of existing early Christian church and at the same time able to vivify, updating it, the relationship between the ancient and the contemporary," said curator Simone Pallotta. 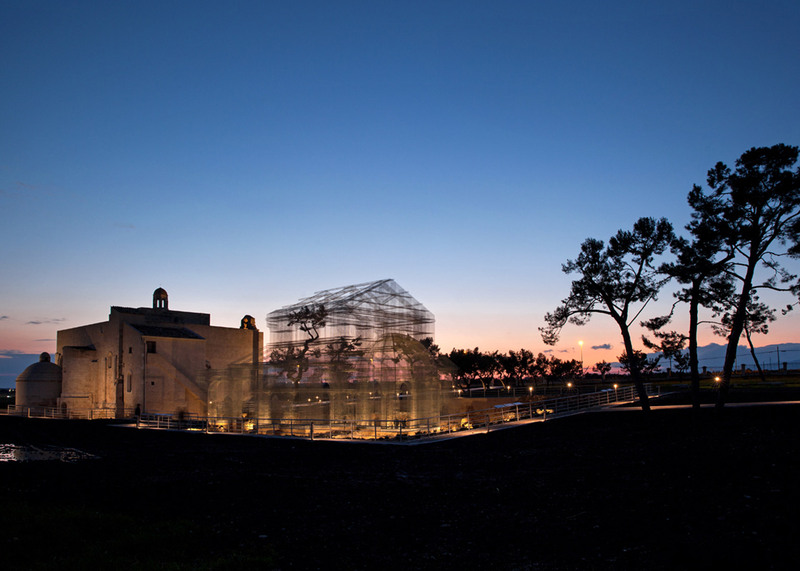 He described it as "a work that, breaking up the secular controversy of the arts primacy, summarises two complementary languages ​​into a single, breathtaking scenery". 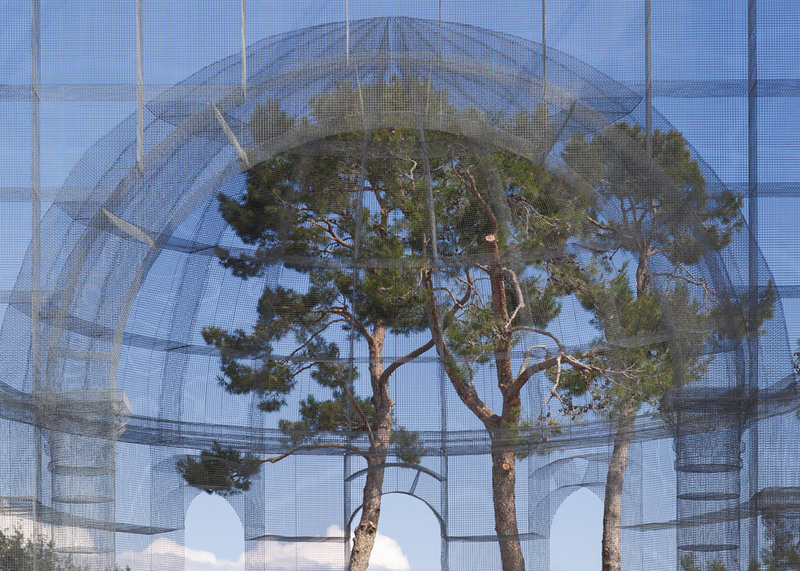 The artist and his team used hydraulic lifting systems – commonly known as cherry pickers – to manoeuvre blocks of the pre-made sculpture. 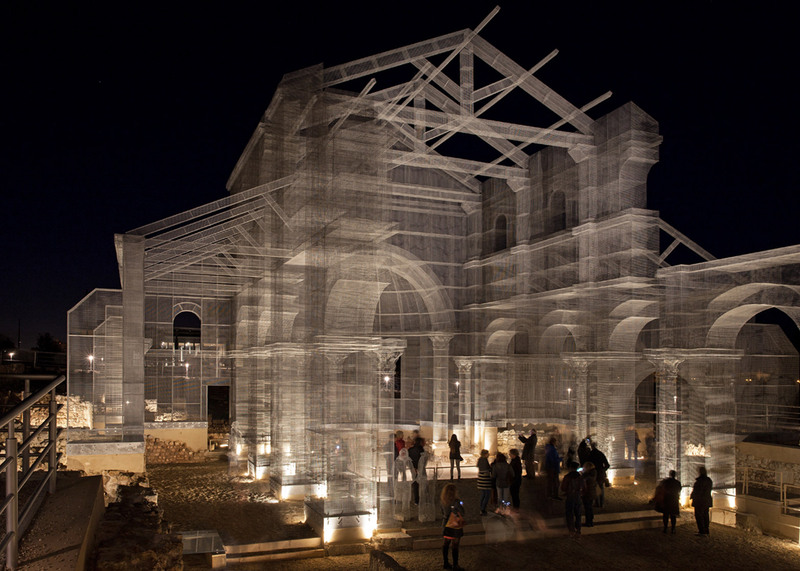 The entire construction took five months to complete. 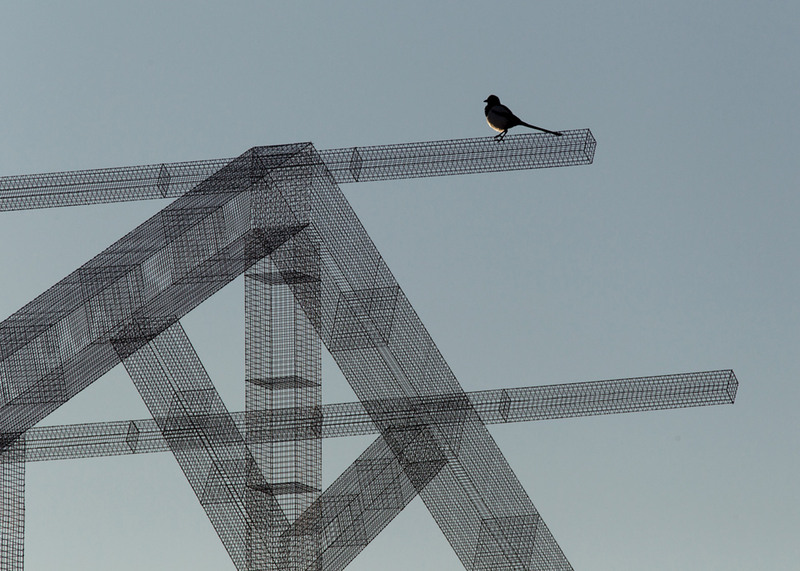 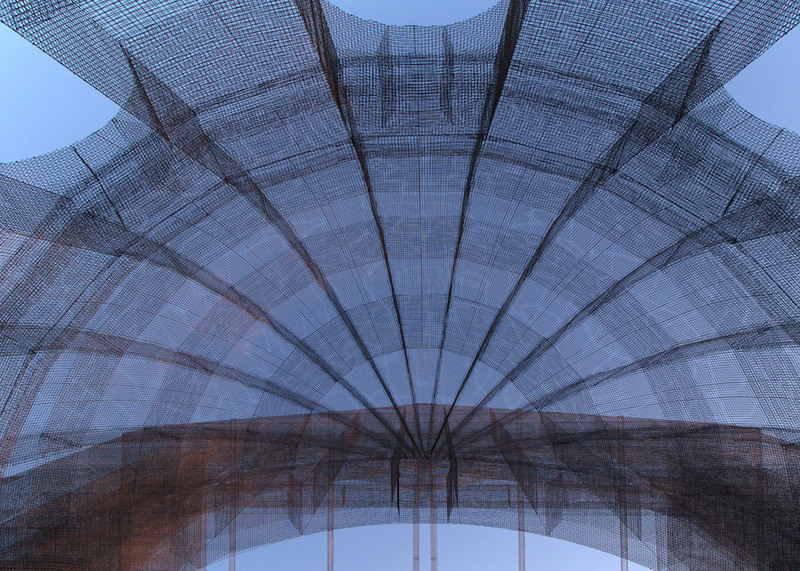 Artist Sarah FitzSimons also used wire to create a life-sized architectural sculpture. 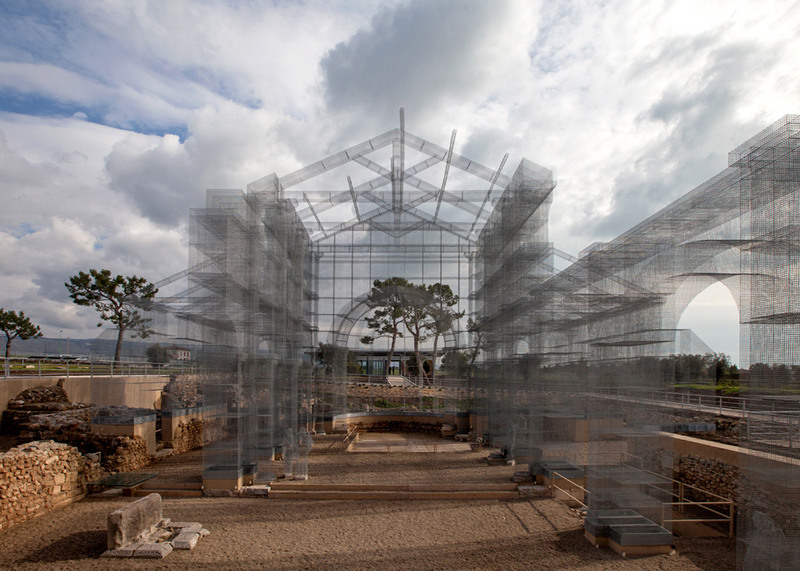 The outline of a traditional two-storey American house was constructed on the shores of Lake Michigan for the inaugural Chicago Architecture Biennial in 2015. 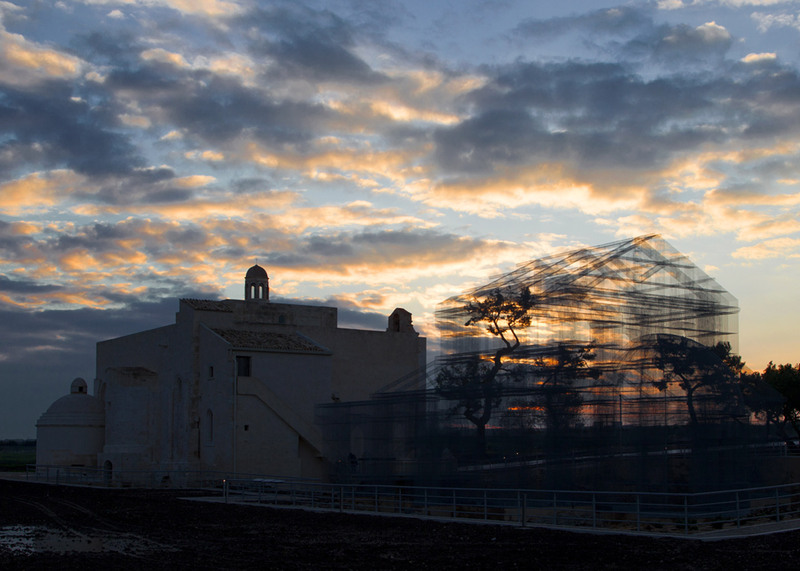 Photography is by The Blind Eye Factory.